No war has caused greater human suffering than the Second World War on Germany's Eastern Front. Victory in the war cost the Red Army over 29 million casualties, whose collective fate is only now being properly documented. Among the many millions of soldiers who made up that gruesome toll were an unprecedented number of Red Army general officers. Many of these perished on the battlefield or in prison camps at the hands of their German tormentors. Others fell victim to equally terrifying Stalinist repression. Together these generals personify the faceless nature of the war of the Eastern Front - the legions of forgotten souls who perished in the war. Covered up for decades, the saga of these victims of war can now be told and in this volume, A A Maslov begins the difficult process of memorializing these warrior casualties. Using formerly secret Soviet archival materials and personal interviews with the families of the officers, he painstakingly documents the fate of Red Army generals who fell victim to wartime enemy action. 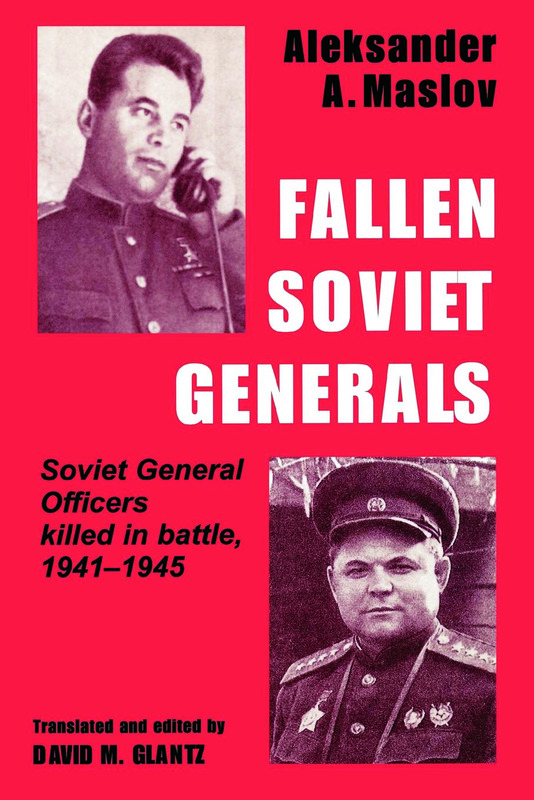 "Reading "Fallen Soviet Generals" was an extremely rewarding and informative experience … This is an outstanding work. Well-researched, with appropriate endnotes, and well-written, it contains information found nowhere else. If you are a student of World War II and are interested in the Russo-German war from either side"s porspective, then this book is a must for your library and an extremely good read." The Journal of Military History- Walter S.Dunn,Jr., Elkhorn, Wisconsin- " this collection of biographical essays provides a valuable insight into the composition of the Red Army during the Great Patriotic War…The author is to be commended for his subjective interpretations of the events in each operation…The book is well worth reading.